Choosing the mix of furniture items that will be long last furnishings. To give you more references, we will display all homes’ parts that are designed in Western style. Just check them out to find many options of Western interior design that might suit your preference. A ranch home commonly uses natural materials, particularly wooden, as the main material of building all parts of home. 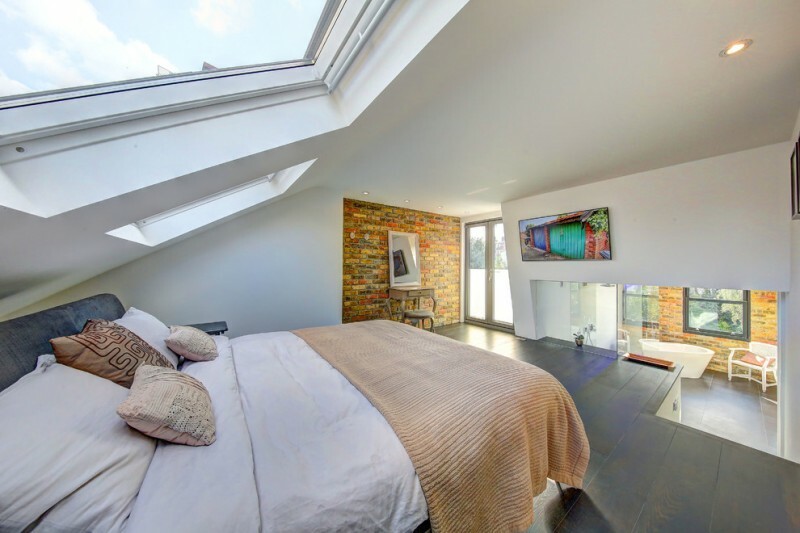 Take a look at this bedroom. The bedroom dominantly uses medium-tone wooden finishes for windows’ and door’s frame, bed, door panel, and even a vaulted ceiling. 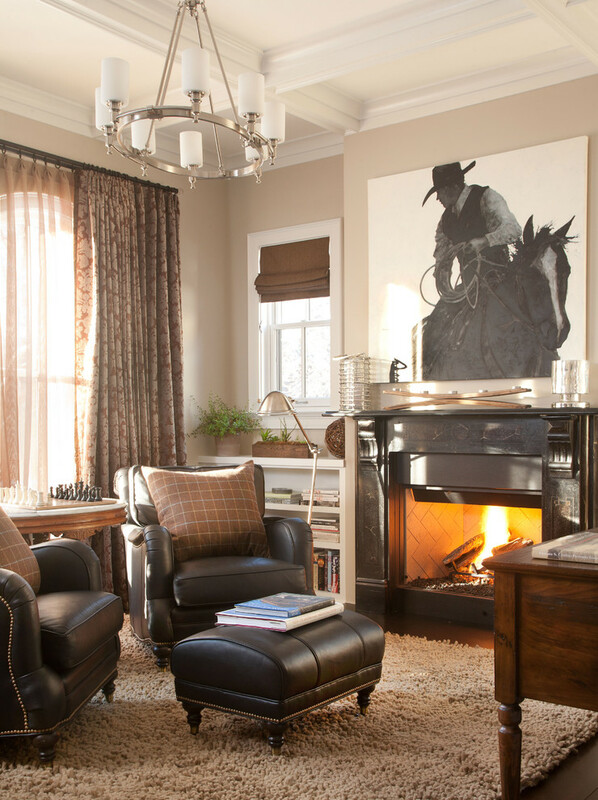 One of practical ways to create a unique and interesting look in a room is by embracing the Western style in way. Like the example above, the room has been added contemporary updates, producing an attractive mix traditional-Western interior style. 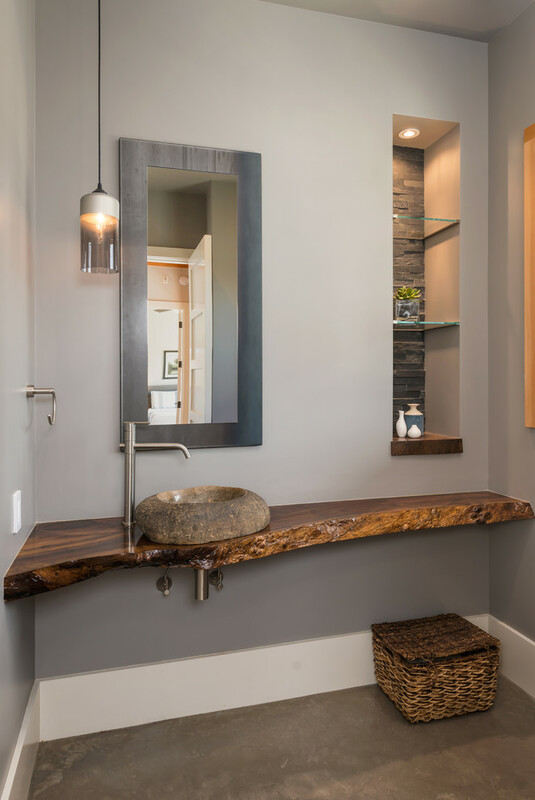 Bathroom vanity is made of natural materials like hardwood in which it is commonly discovered in Western-style architecture. 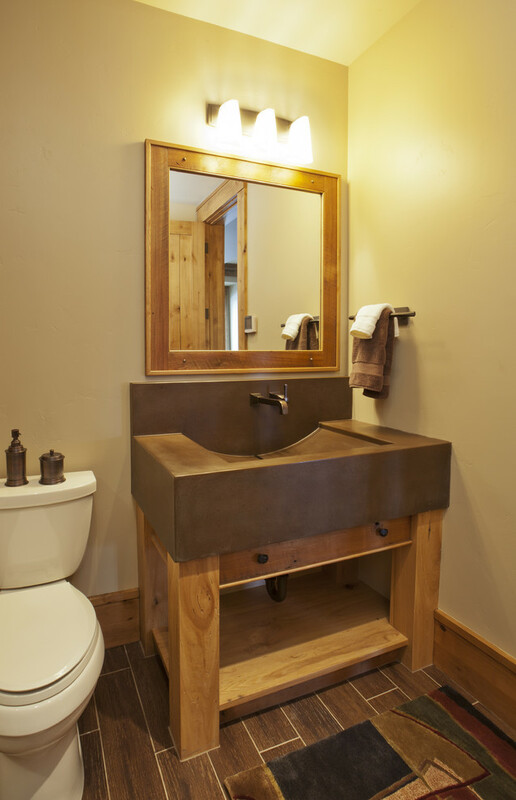 Beige concrete sink becomes perfect complement after both hardwood and concrete are built in modern minimalist. So, we can conclude that Western style can be displayed in any styles, including modern minimalist. Warm atmosphere is indirectly created by these furnishing items in rustic Western-style room family. 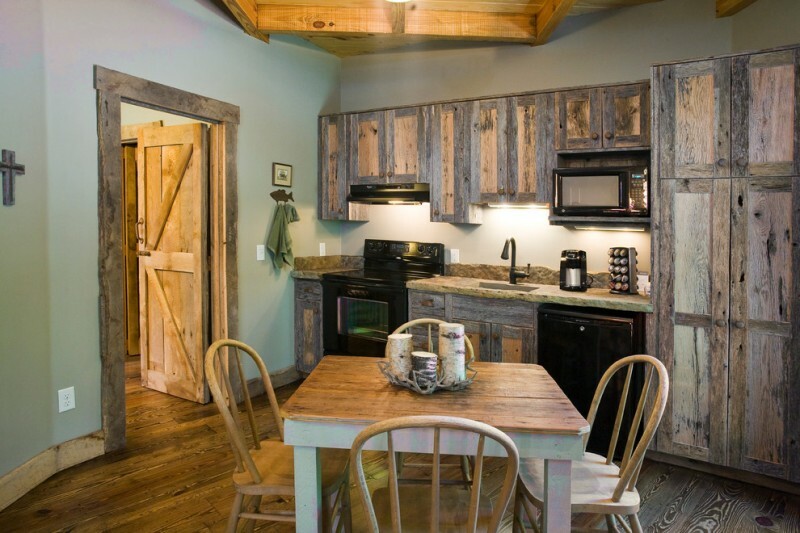 All interior items are set in rustic style, starting from floors to fireplace. A couple of blue accent pillows are the only items that are excluded as rustic ones since they are much of modern influence. It’s possible to say that the accent pillows are intentionally set as the focal point of room. 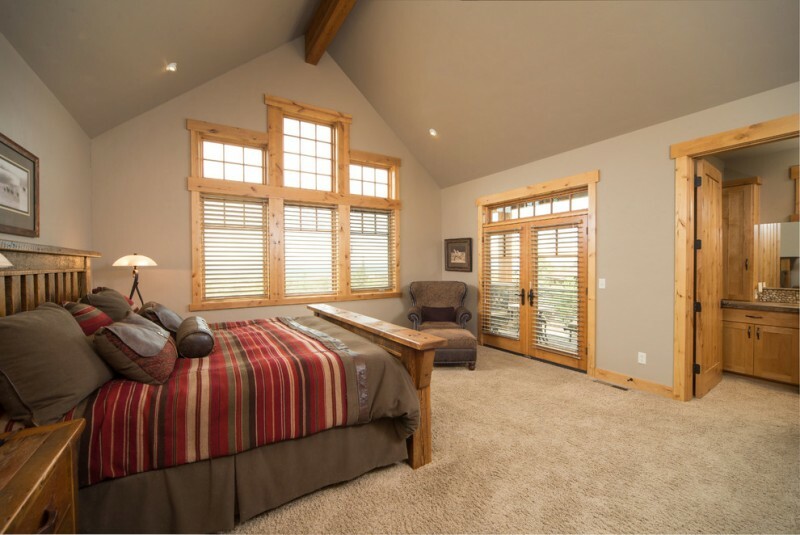 This Western-styled bedroom has a additional room where a set of furniture is set up. The room provides huge warmth and comfort for gathering with lovely family or friends. 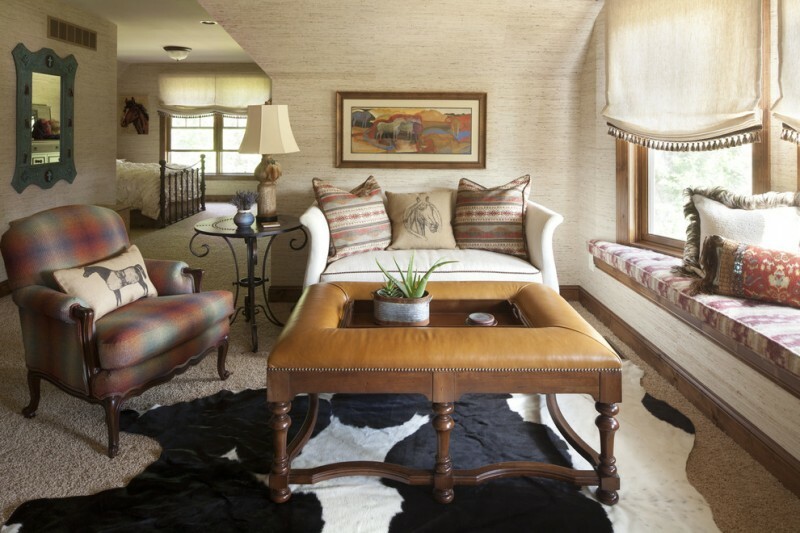 Interestingly, a cowhide rug gives different accent for this room. 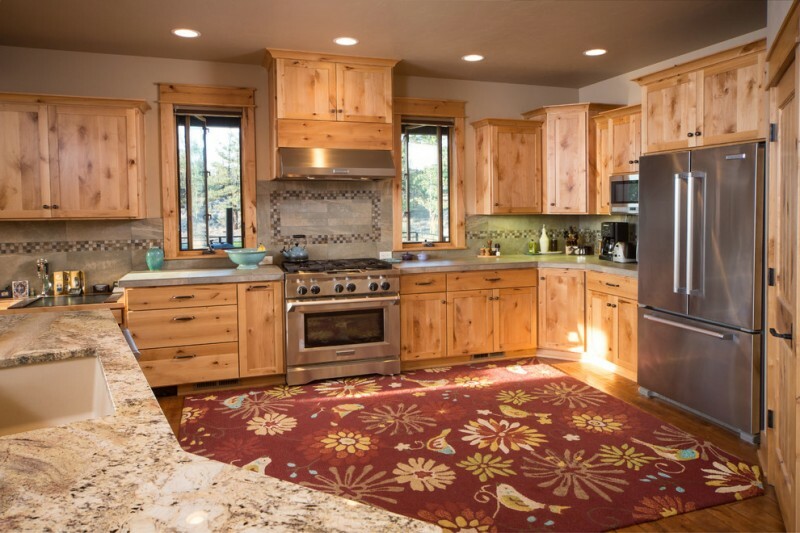 Western interior design is also perfect to be collaborated with other styles. This bedroom idea, for instance, concerns on the interior facade and furniture layout. The owner combines vintage-themed furniture with Western-themed interior facade. It can be visualized on logs use (on roofs) and wall systems that are able to evoke the natural materials and color tone. It’s so awesome. Modern and Western styles are blended as one, resulting a good collaboration of interior design. The series of large skylights here optimize and brighten all items under them, offering full-white look around them. 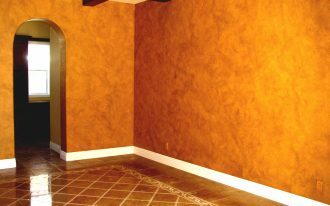 One of other sides displays different atmosphere; a spot previews warmer and traditional look by warm-tone bricks wall system where makeup table exists. This home office is so inspiring. 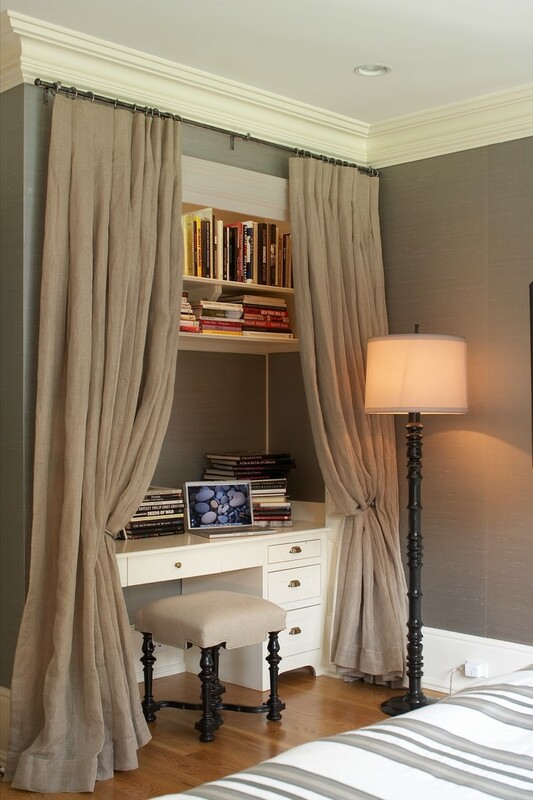 The home office is completed with dramatic full-height curtain in beige color. The curtain can be able to show off or hide the working space. So interesting, right? A beach house with Western-theme interior design; it sounds so interesting. Most interior parts are dominated by natural elements (for example the floors, bedside tables, wall systems, and even mat on floors). 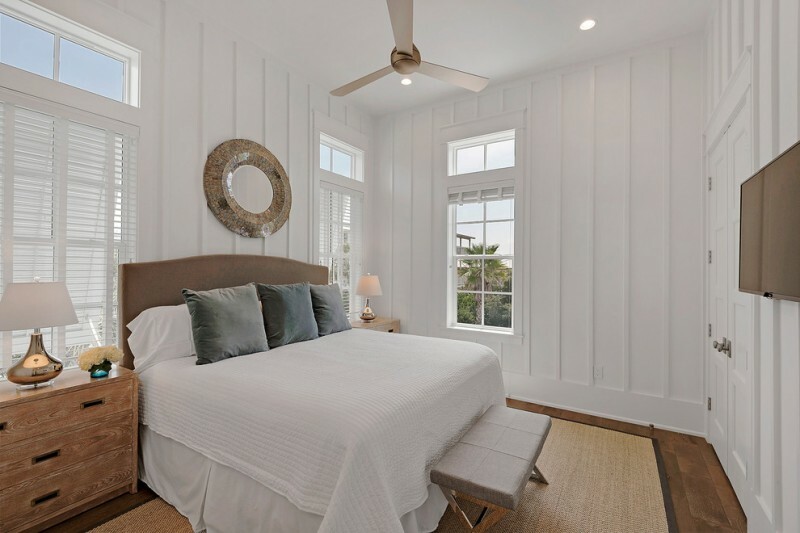 The room’s layout is also shows the balance of white and wood-color finishes, so both complete each other in creating warm and modern look as well. 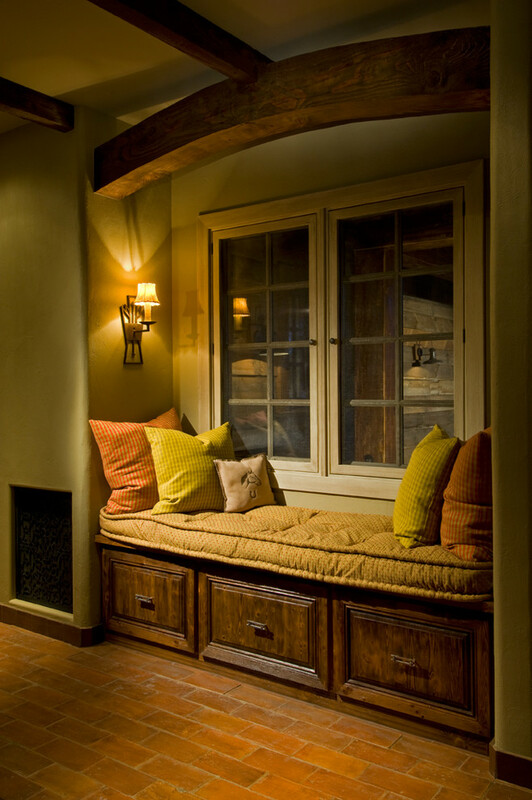 One of Western interior design’s characteristics is using the natural materials as the main element of building. Here, we’ve found that the room uses natural stones and wooden for building the walls and floors. In addition, other interior items like recessed lamps and bar’s stuffs are installed to support the Western theme. There are many interesting things which obviously present Western-style interior design in this home laundry space. 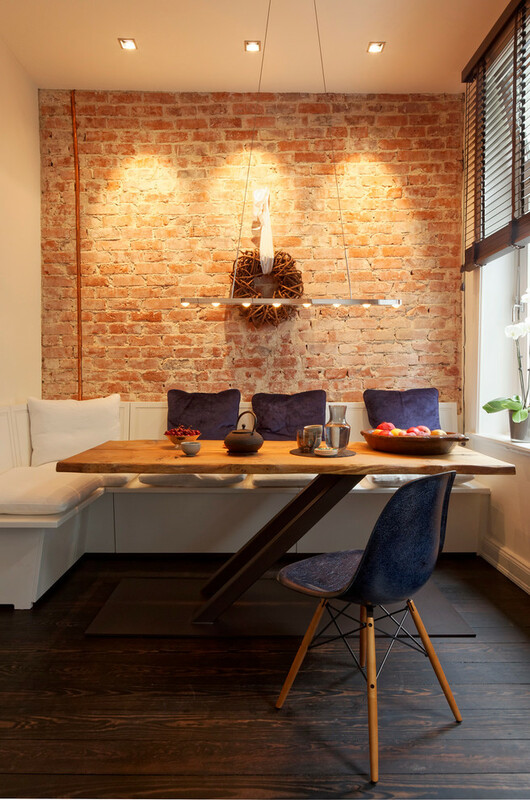 The floors, for instance, use old bricks that create a dramatic & stylish look. 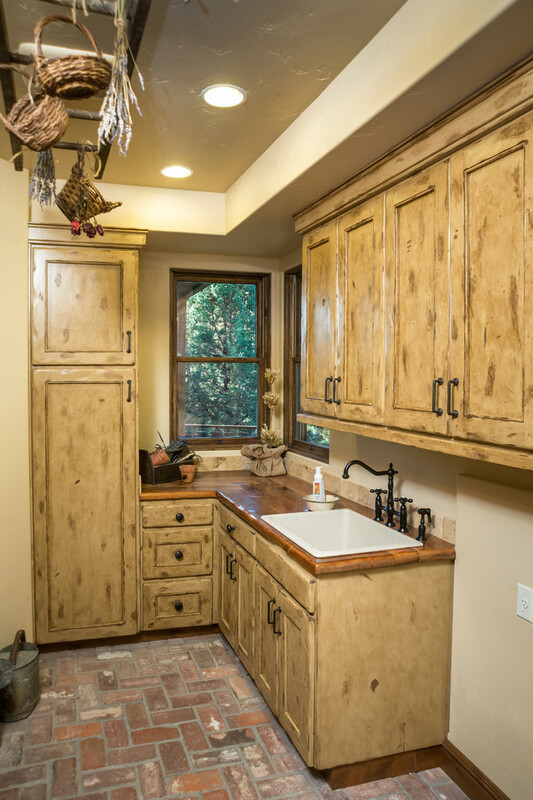 Wooden countertop and cabinets with clear finishes bring much more powerful Western touch in different way. What amazing idea if we combine Western and contemporary styles into one primary concept. Like this picture in which the interior design employs Western as its interior concept, while indoor uses contemporary furniture and layout idea. 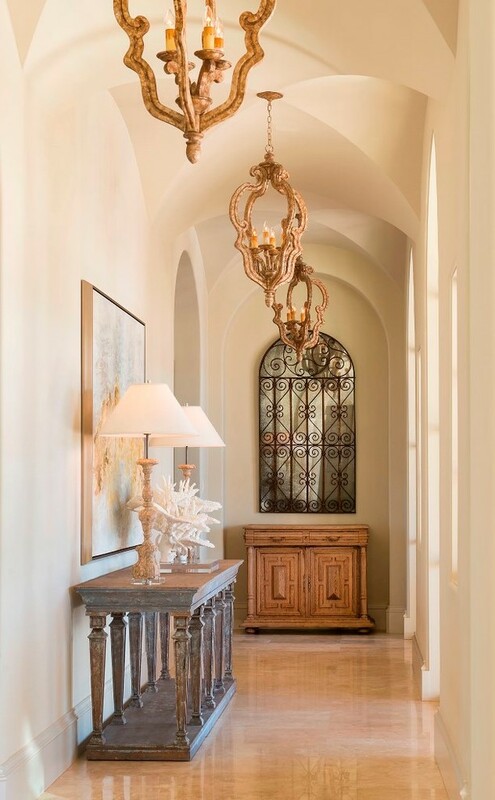 A hallway is designed in Western style and concerned on creating warmth and luxury look. This spot is really cozy and homey. Moreover, this place has been added some fascinating stuffs like accent pillows, wall lamp, and futon that improve much of comfort. 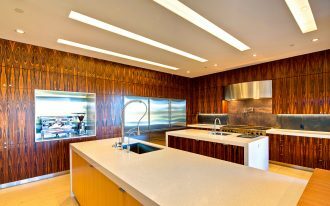 All wooden cabinets are so stunning. Take a look at the countertop- the owner uses double countertops to maximize the counter’s space, so they can be multi-functional spots (preparing, cooking, and even dining). Color combinations applied on room are also so perfect. Agree? Old yet stylish – that’s the first impression after viewing this design. Raw wooden finishing really dominates this room. 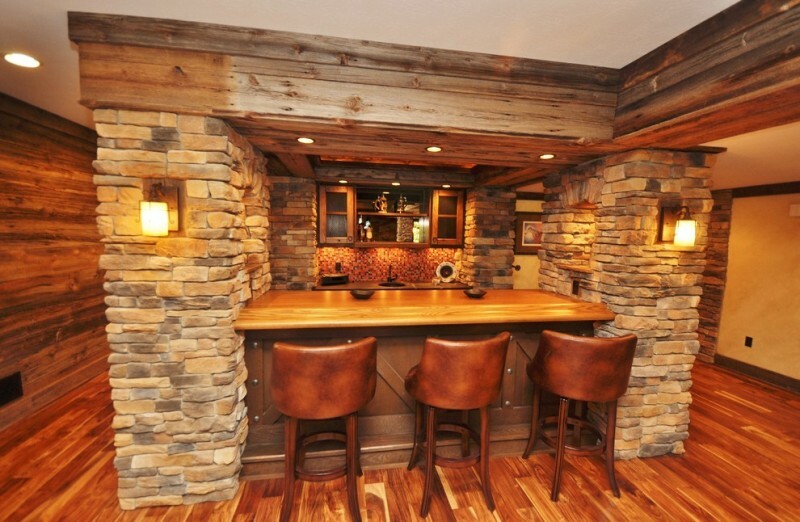 The use of shabby bricks on bar’s pillars gives much of improvement for the bar itself. 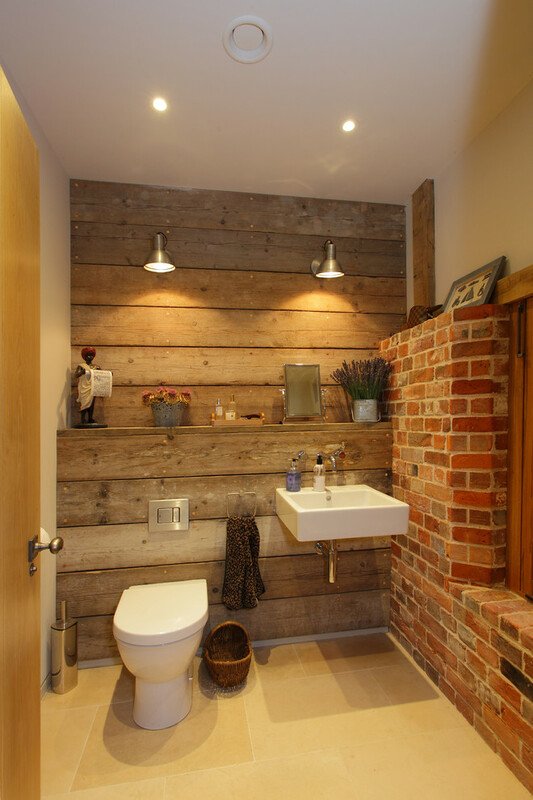 Not only that, couple of wall lamps attached on brick pillars makes wooden and bricks much more striking and warming. Mid-sized powder room plus single toilet has been designed in Western style. Red bricks and wood slabs are used to build wall systems, while twin wall-lamps upper the vessel produce warming lights that illuminate the stuffs and surroundings. Small ranch house should be completed with comfy and right in proportion. 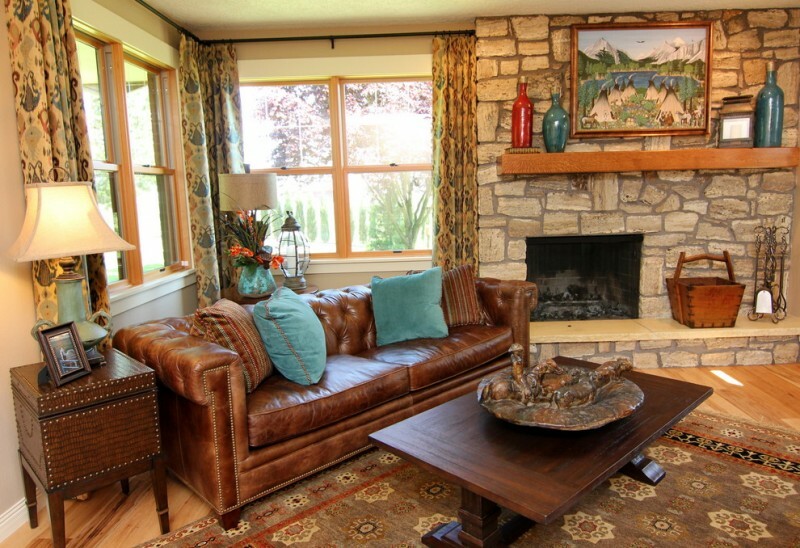 A couple of leather sofas with a side table are well recommended to use as they are really space-efficient. 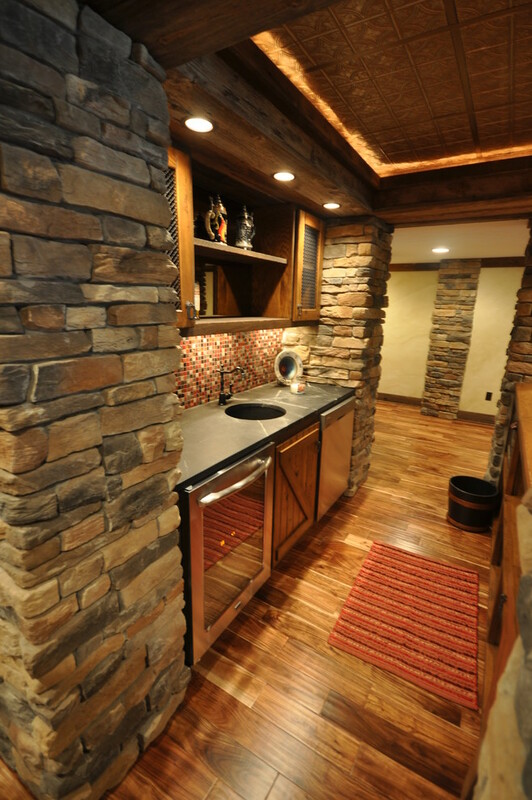 Use wood slabs and natural stones to reinforce room’s Western style. This is really fascinating. 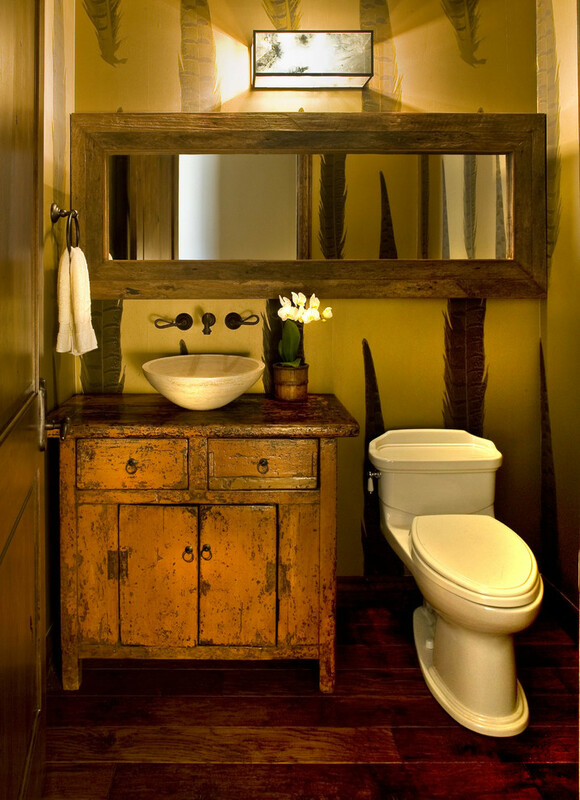 By collaborating Western and industrial appeals, this restroom results a unique look. There are several fixtures and furniture which are designed in Western style (bathroom vanity and floors), while the others are industrial products (toilet, vessel, and vanity lamp). It’s possible to blend modern and Western theme in one space. An interior is equipped mix Western-modern fixtures and furniture items. 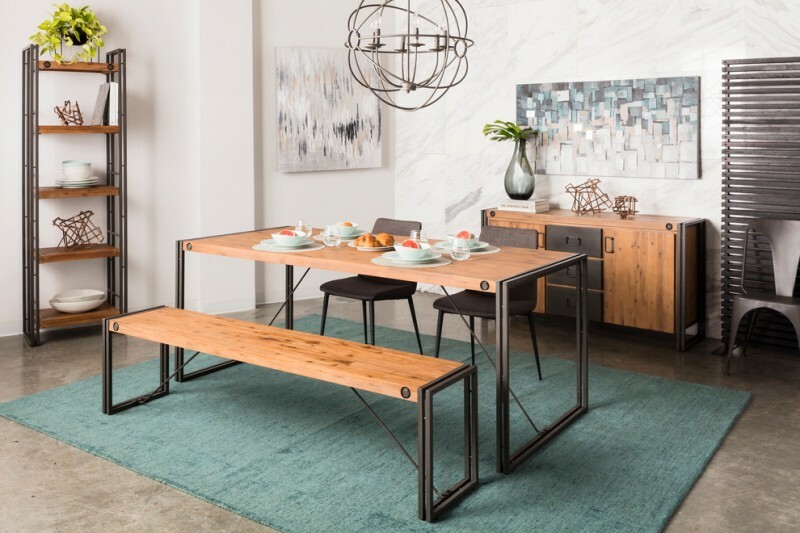 Take a look at mirror, hanging lamps, and recessed shelves; they are designed in modern, while countertop, vessel, and basket storage beautifully provides Western appeal. We really like kitchen cabinets which are so fascinating with their shabby but cool. Such tone is superb after being paired off with black-finish appliances. Another interesting spot is also easily recognized in this room. Yes, it’s true, it’s a set of dining furniture which are made of wooden. Both furniture and floors are advisedly set without finish. Yes, this design is awesome. The design displays powerfully minimalist, especially in their physical appearance; but if you take attention to roof’s structure, it can be said that the designer wants to exhibits two different styles: minimalist (represented from fixtures and furniture) and Western (interior’s facade and tone of colors). Again, it’s now common to collaborate two styles of architectures as a balanced and harmonious concept. Like this one; the design employs modern and Western styles that are applied on furniture and interior facade. 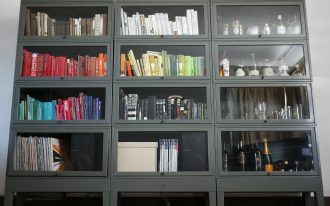 It is obvious that just few items like paintings, table lamps, and two backless chairs are represented in modern style. 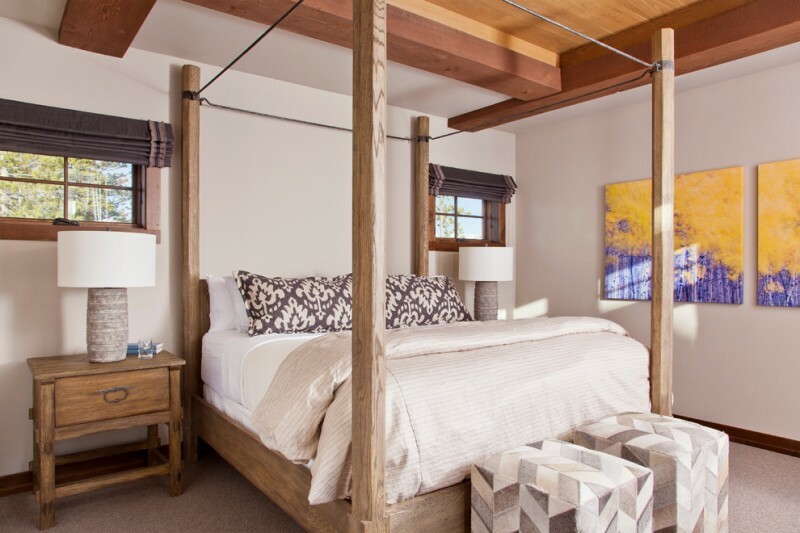 By contrast, other items like bedside tables, bed plus its classic pillars, and even structure of roofs are designed by attaching Western appeal. 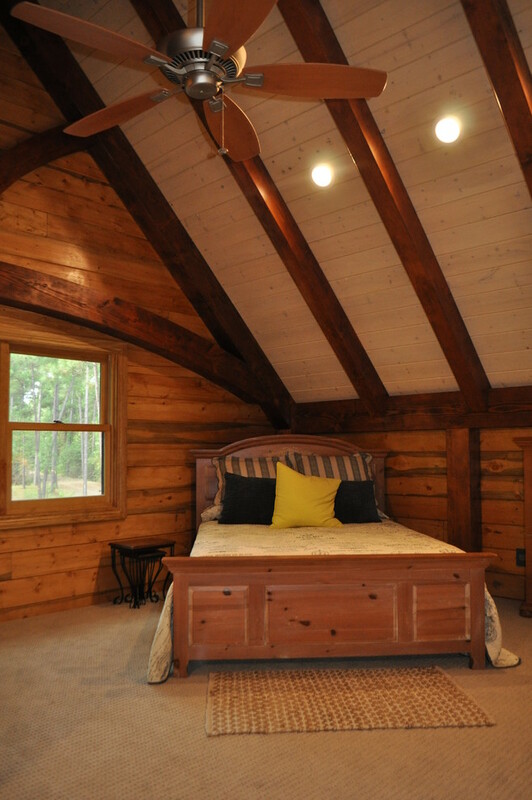 A vaulted roof is closely related to cottage house and this one is a real Western-style bedroom idea in a cottage house. The house uses logs as the main elements of building and they are laid out beautifully into some parts of building, including the bedroom. Attractively, there are a couple of recessed lamps which illuminate the whole areas under the lamps. We all know that recessed lamps are usually installed in most modern/ contemporary buildings. Just imagine, taking a seat in a screened porch with large glass windows displaying beautiful lake or other views. 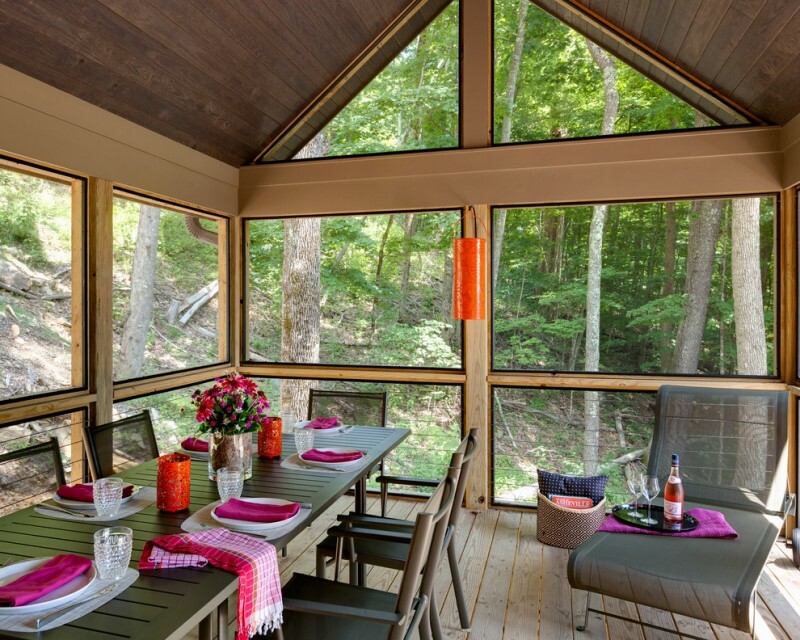 You can enjoy this only by building a screened porch like in this picture. 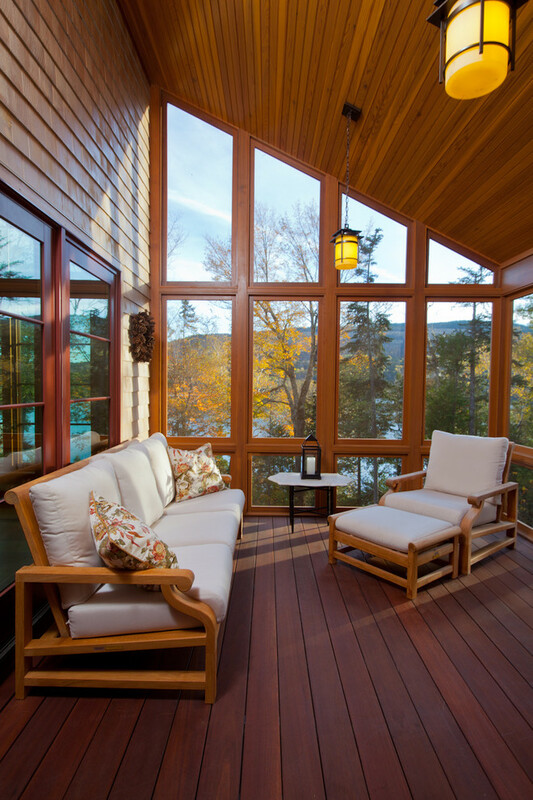 The picture shows how a screened porch offers so much of coziness and comfort. The spot that is also called as a sunroom has Western-style architecture and has been completed with stylish and comfort furniture, inviting everyone to relax there. This one is really inspiring. Kids’ bedroom with copper and dark hardwood finishes become the primary materials in this room. 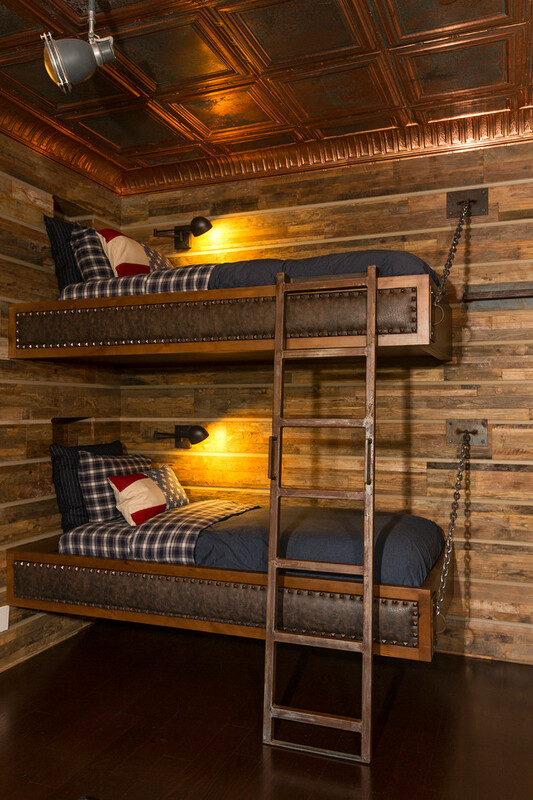 The bedroom properties like upper and lower beds plus their ladder are built from original copper. Take a look at the ceiling, you’ll find that the whole parts are copper finishing, and only floors and walls are built by using wooden. 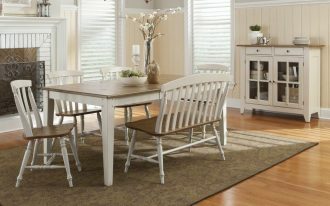 A simple dining room with Western Influence is also attractive. It highlights the simplicity but keep focusing on Western influence by existing wooden and metal as the main components. Blue rug covered the solid concrete floors are the accent to provide another attractive spot. What is your first impression after looking at this design? It must be modern but warm, isn’t it? It’s true that the designer uses modern concept by equipping the room with modern furnishing item, but not the interior facade. The designer keeps inserting a little Western value on several parts, especially the floors and walls. 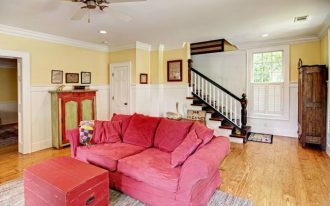 Family room is a perfect spot to enjoy and share stories with family. Here, we also spend spare time with people we love. That’s why it’s important to design a cozy and inviting family room. This room is the example how it can be a warm and comfortable spot to gathering with family. 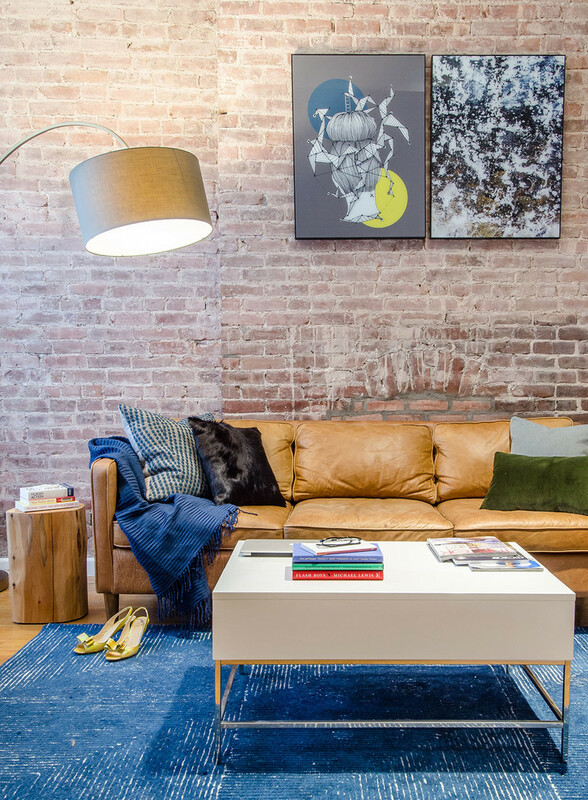 That’s okay to insert a little bit Western accents like red brick walls, leather sofa, and log-shape side table into it. 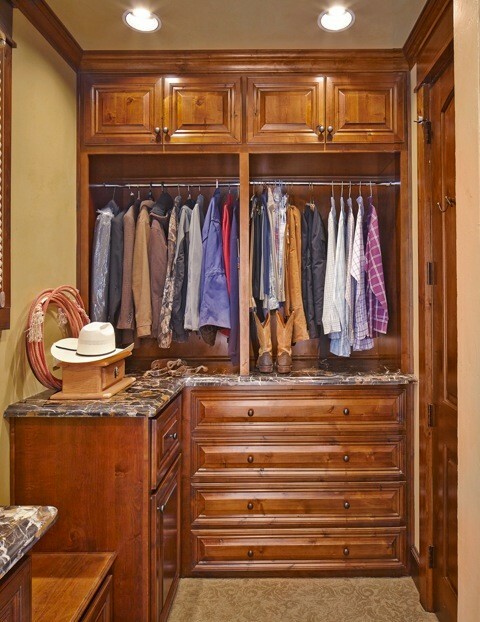 Complete your dressing room with such closet organization. 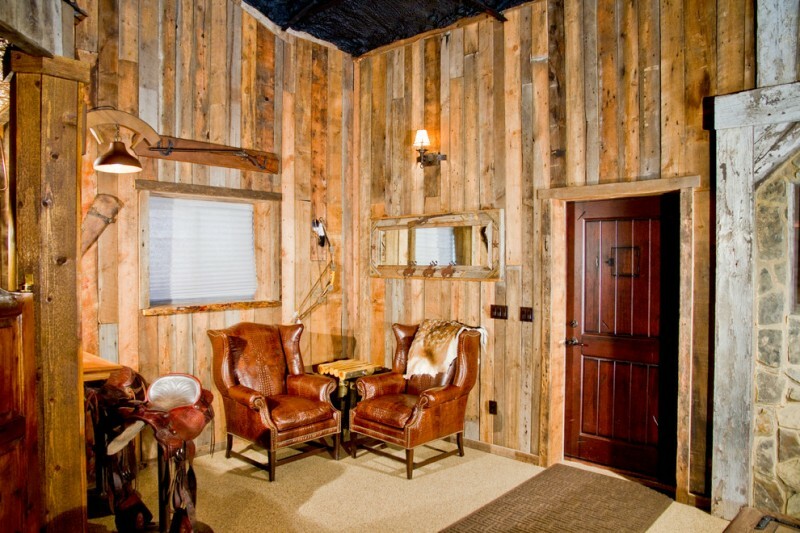 This room is designed with Western-theme additions. It aims at creating warmth by inserting natural color tones in this room. As we know, natural tones are can be brought by the use of natural materials like wooden and stone. 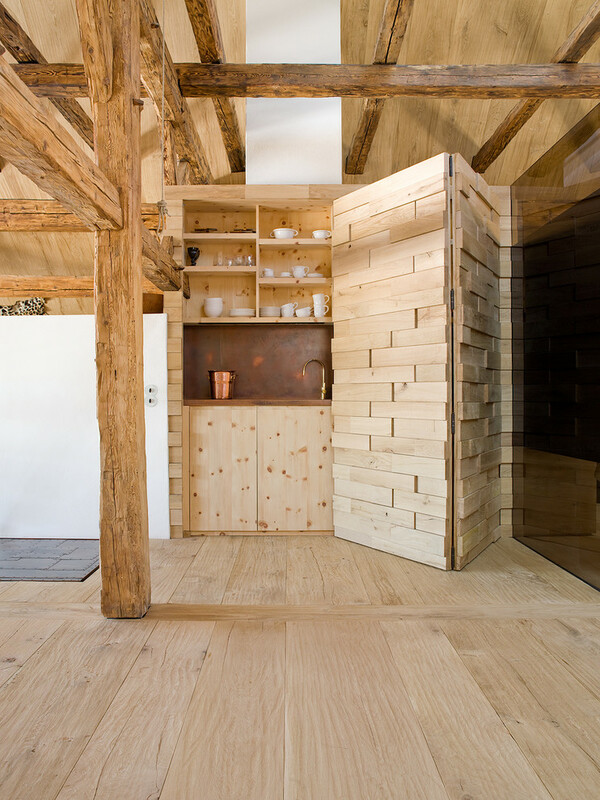 From this design, it’s clear to be identified that the room is dominated by wooden finishing. Soft-tone walls and light wood furniture are perfectly collaborated. Both has resulted peaceful atmosphere in this hallway. The ornate pendant lamps, even, add much more aesthetic value for this room.